Please click on our STAR Learners to find out more about them! 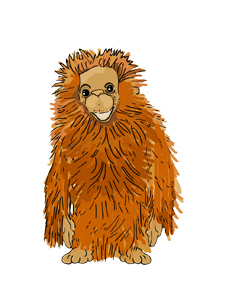 Raya the orangutan who is ready to learn with and from others. You will hear our teachers and children talking about these characters in every lesson, in order to help them to become even better learners and make the most progress they possibly can. 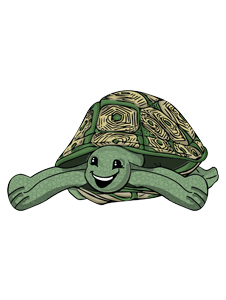 I am Stanley the tortoise. I stick with a task until it is finished. I love a learning challenge and I try a range of methods until I solve it. I get lost in my learning and not even my best friend can distract me because I have learned to block out things that side track me from my goal. I also notice everything around me just in case it might help me with my learning. 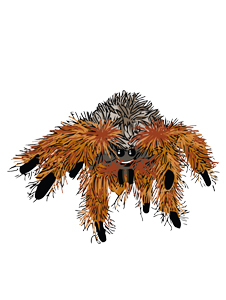 I am Tallulah the tarantula. I tackle challenges with the right resources. I can’t stop myself from asking questions especially ‘What if?’. I wonder about everything so much I have had to learn how to find answers from a wide range of sources and from different people. I am really good at making connections between ideas and tackling tasks step by step so I can weave a web of understanding. 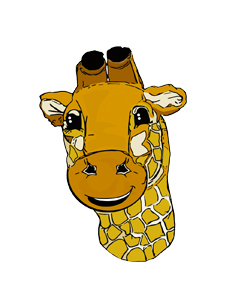 I am Aqueel the giraffe. I am always aware of how my learning is going and if I need to make changes. My name means ‘wise’. I am a real planner and I think carefully about what I am trying to learn before I start and the best way of achieving my goals. I constantly ask myself questions about how things are going and I change my plan if I need to. I am really good at looking back at my learning and thinking about how I learned and the most important ideas that I need to use again. I am Raya the orangutan. I am always ready to learn alone or with others. My name means friend to all. I love to watch and listen to other people and imitate their success. I’m not sneaky about it though, I congratulate them on their ideas and ask if I can use them. I encourage everyone in my group to take on a role and get involved and I am good at putting myself in someone else’s shoes and thinking about how they feel. I am also really good at knowing when it is best to learn by myself and stick to my own ideas.